As the chill of winter sets in over the Northern and Mid-Western United States it is important to ready your vehicle for safe winter travel. 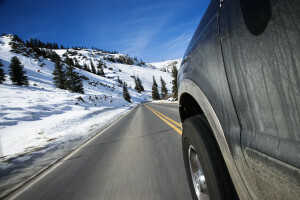 Blustery cold winds, ice and snow all present challenges when traveling by personal vehicle. But with proper preparation you can take back control over winter weather driving. Preheating your vehicle isn’t necessary for the health of your vehicle, but it does make it easier to remove ice from your windows. Avoid long preheating times, but ensure that your vehicle is clear of ice and snow that could obstruct your view of the road. Check your local ordinances for regulations on allowing a vehicle to idle unoccupied. Allow extra time to reach your destination. If you need to travel 30 miles, driving 10 mph slower will only delay your arrival by about 7 minutes. Leaving the house 15 minutes early will allow more time to navigate uncertain road conditions. Increasing you following distance gives you time to adjust to incoming road condition changes and other driver’s behavior. Be aware that not everyone is alert to changing road conditions; you may have to quickly adjust speed or course to avoid trouble ahead. Try to make these changes such as turns and braking gradually, sudden changes in momentum can lead to skidding. Being prepared is half the battle when dealing with snow or icy road hazards. Remember your sunglasses help to block solar glare and bright snowy reflections. Adjust your tire pressure as needed. Tire pressure is variable depending on the outside temperature. Consider picking up a tire gauge with a release valve in case you need to let off a little air during temperature changes. Finally keeping your vehicle clean and well stocked with supplies is essential in the winter months. Remember to wash your vehicle frequently, and keep the window washer reservoir topped off. Packing small duffel with a blanket, flares and a few long lasting food items could come in handy if conditions get the best of you. Preparedness is essential not only during the winter months but at all times. It’s why a vehicle service contract from CARS Protection Plus is such a wise investment. It’s tempting when making a large purchase to strip down the options and pay the lowest price possible. Making a a bare bones deal on a used car may save you a few bucks on your monthly car payment, but what will that cost you in the long run? While you may be smart to avoid cosmetic upcharges like paint and fabric protection, skipping the Vehicle Protection Plan is a costly mistake. Always consider adding a service contract to your used vehicle purchase. 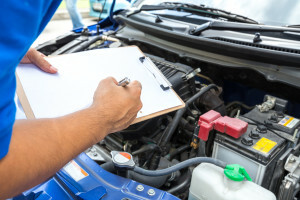 Commonly referred to as an “aftermarket warranties,” a vehicle service contract will safeguard against the cost of unexpected vehicle repairs. Attractive options are available that will add less than $50 to your monthly payment. An extended service contract is a sound financial investment. Contracts specifically designed for high mileage vehicles are a great tool to make you feel more comfortable when purchasing an older car or truck. Coverages can be tailored to you budget and the unique needs of your vehicle, often including extra perks like roadside assistance. Providers like CARS Protection Plus strive to list all of the components offered for coverage on the contract so there is no guess work when it comes time for a vehicle repair. When reviewing your options keep in mind that is a part isn’t listed for coverage it won’t be covered. It’s important to have a repair plan in place if your vehicle no longer has a manufacturer’s warranty. Keep your copy of the contract in a safe place and refer to it prior to taking your vehicle to the shop for repairs. The claims procedures will be part of the contract and following them from the very beginning will help you get the best results for your money. The choice to include a service contract is yours to make. However use caution when choosing a company. Look for a company that has stood the test of time and carries a positive rating with the BBB. Only vehicle protection plans from insured companies should be considered. Take a look at CARS Protection Plus who has built a positive reputation through outstanding service in their contracts. Author adminPosted on April 7, 2017 Categories UncategorizedLeave a comment on Do I Need a Vehicle Protection Plan for My Used Car?